As a school we recognize and value the irreplaceable role that parents play in the education process. We value parent attendance at school functions and parent response to school obligations. We applaud all parent efforts to nurture children as learners; in providing help with homework; and with modeling reading and other academic habits at home. We encourage and support parent participation in their child’s education by assisting with school activities, or taking a role in advocating for school needs. Student Safety & Secure Campus: Ensuring parents and guardians that all chil5dren are safe throughout the school day is the most important thing we do. Without student safety, and a secure campus to ensure that safety, the education we provide would be of little value. During the instructional day the exterior gates around the playground and grass areas will remain locked. It is essential to provide safe passage for all students and staff traveling to and from portable classrooms, or participating in Physical Education. All visitors must enter through the front doors and check in at the office when arriving on campus for any reason. * Entrance to the School Campus – All visitors to the school campus, including parent volunteers, must enter through the front doors and sign-in on the Visitor Computer in the front office for each and every visit. Visitors must also return to the office to sign-out on the Visitor Computer when they leave the school. If a parent volunteer visits the school campus multiple times during one school day they are required to sign-in, and sign-out, for each visit. * Opening Ceremony – All parents are welcome to observe the daily opening ceremony with their child / children outside on the playground. The main purpose of the ceremony is to preserve instructional time. All housekeeping items are taken care of during the ceremony and all announcements are made so that instruction can begin without interruption when students and teachers arrive at their classroom. Parents are not to enter the building with their child’s class unless they are scheduled to volunteer for the day and have already checked-in at the office. * Dismissal – Parents and guardians are welcome to come onto the playground to pick up their children once the gates are unlocked. Please remain outside the yellow lines on the playground so that staff has the visual ability to sufficiently account for all of their students including students in line for Safekey, the bus, and daycare bus. * Having Lunch with Your Child – Parents are welcome to come to school to eat lunch with their child. All lunch visits must be arranged in advance by notifying the office staff of the date of your upcoming visit. Check in at the visitor check-in located in the front office when you arrive on campus. Please take note of the “tray times” for your child’s lunch period. Parents are to sit with their child during tray time then return to the office to check-out as they leave. Please be aware that lunchtime is a unique opportunity within the school day for children to engage in social interactions with other children. 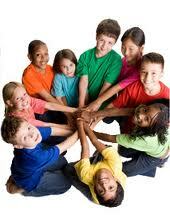 Much of what children do in the lunchroom involves the development of social skills in a valuable open setting. * Parent / Teacher Conferences – In an effort to provide the most accurate student progress data related to achievement and behavior all parent conferences must be scheduled in advance of the conference. The purpose of the meeting must be stated when the request for a conference is made so that the teacher can compile all relevant information and materials to adequately address or resolve the issue. * Scheduling – In order to provide a secure campus at all times and ensure the highest level of student safety, both physical safety and emotional safety within the school setting, it is necessary that all volunteer sessions be scheduled with the teacher, and reported to the office, in advance of the activity. * Frequency – Many parents are eager to volunteer in their child’s classroom. In order to ensure that all interested parents have an equal opportunity to participate and to maintain an optimal learning environment for all students, monthly calendars for volunteering will be created by each classroom teacher. Parents may work with the teacher to set up the calendar based on what classroom activities and/or accountability measures such as standardized testing will occur during the upcoming month. Each teacher will provide a copy of the monthly schedule to the office for reference when a volunteer signs-in. * Volunteer “Sign-In” & “Sign-Out” - All parent volunteers must enter through the front doors and sign-in on the Visitor Computer in the front office for each and every visit. They must also inform the office staff of their presence on campus and the purpose of their visit. Volunteers must return to the office to sign-out on the Visitor Computer before they leave the school. If a parent volunteer visits the school campus multiple times during one school day they are required to sign-in, and sign-out, for each visit. * Positive, Respectful Behavior – Keep in mind that our students, their learning, and their well-being are our highest priorities. Be sure your behavior is at all times a positive and respectful model for all of our students. Dress and Appearance are also vital to promoting a respectful school climate. Volunteers must wear appropriate attire when volunteering at school. * Student Supervision – The teachers and administrators are the supervisors of the students within the school setting. Volunteers will follow their lead and adhere to any and all guidelines that they have been given. When in doubt please confer with the staff member in charge of the event for which you are volunteering. * Confidentiality Statement - When working within the school setting confidentiality is a legal right for all students. Student performance and behavior information is to be kept confidential at all times. * Student Discipline – Teachers and the administration are responsible for responding to student behavior during the school day. 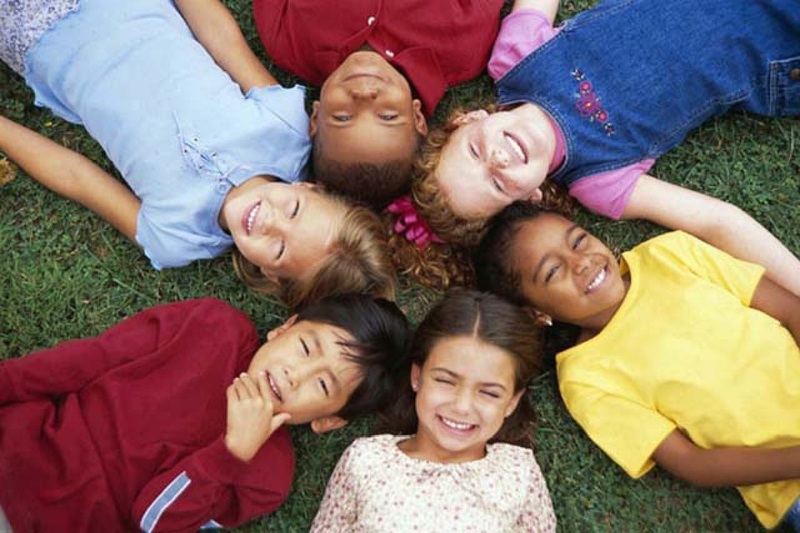 It is important to use positive interventions and techniques to help a student, or group of students, be respectful, responsible, and kind. If a situation arises that you feel warrants discipline of any nature it is required that you seek out a teacher or administrator to respond to the student(s).